When I saw the new round for SHF was the favorite most craved dessert I knew I had to make something with chocolate. Anything that has chocolate in it is what I crave the most, and is my most favorite, so I don't necessarily have a "favorite" dessert. I guess I don't like the idea of being tied down to one dessert. I like variety, and since my taste bud cravings are constantly changing, there's no way that I can only pick one dessert that I crave all the time...especially since I'm a girl. Am I right ladies? There are certain times when I crave something extremely rich in chocolate, and other times when I want something a little more refreshing. So, back to the SHF challenge. 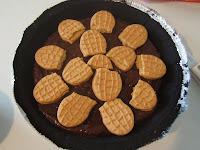 This dessert I made almost a year ago, and wanted to revisit it for the SHF members, fans and followers. Since of course it has chocolate it already made the cut, but it also has Nutter Butters, Chocolate Pudding and Cool-Whip...I know, the combination is AMAZING! 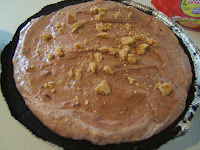 (And it's so easy to make) I now introduce the star of our show the one and only Nutter Butter, Chocolate Pudding Pie!!!!!!!!!!!! *ooh, aah* The crowd is on their feet, roaring with applause. 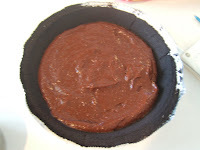 The recipe starts out with a premade Oreo cookie pie shell---SWEET Oreos!! 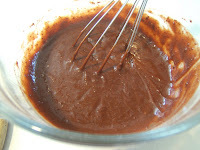 Then comes the fun part---take two cups of milk and mix it with 2 (4 serving) packages of chocolate pudding (I go for the sugar-free pudding, because I like to save on calories so that I can have a bigger slice of pie). 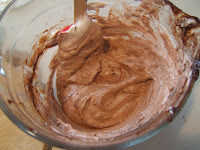 Mix the milk and pudding for about 2 minutes, don't freak out when the pudding become extremely thick, it's supposed to. (This is where I took a big spoonful of pudding and put it right into my mouth!!) Now the best part, take about 8 Nutter Butters and break them in half, arranging them on top of the pudding. 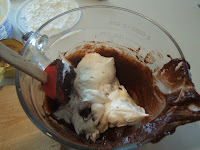 Ok, next step is to take 1 1/2 cups of the pudding mixture and spoon it into the pie crust. 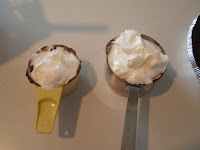 Now take 1 1/2 cups thawed Cool-Whip and gently mix it with remaining pudding mixture, spoon the mixture over the Nutter Butter/Pudding mixture. Refrigerate for 3 hours, the cut it up and eat it!! Feel free to garnish pie slice with remaining Cool whip. I promise you you'll have died and gone to heaven! This pie is so good, and if you use the SF pudding, the Cool-Whip Free and Skim Milk, you don't have to feel one bit guilty about eating a slice (or two, maybe even three)! Nutter Butters? Darn you. I had actually forgotten about them for a while. Man, now I am going to have to buy a package when I go to the store today. 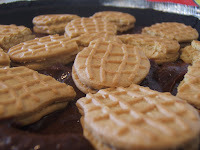 Peanut butter cookies are so amazing. 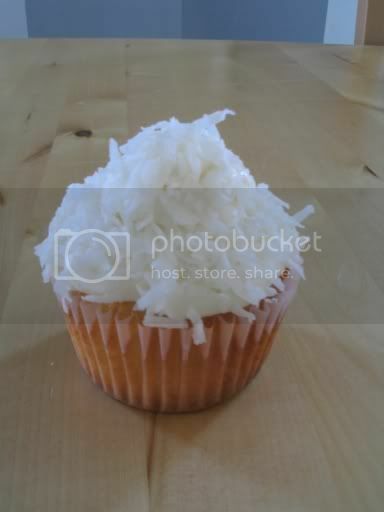 I can see why this is one of your favorite desserts. I can see why you love this dessert...yum! 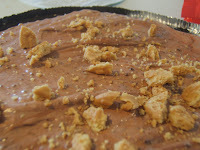 Peanut butter, chocolate and whipped cream flavors...what could be better...putting them into a pie! Way to go...applause!